Aveda's Claus Hagenfhoff demonstrates hair colouring techniques in these online hairdressing training videos, exclusively on MHD. Claus Hagenhoff began his apprenticeship in 1993 at Splash Hair in Mönchengladbach, Germany. In August 1995, after completion of his apprenticeship, he did a State Social Service as care assistant of disabled children. Meanwhile he worked part time as a stylist at Splash Hair in Mönchengladbach, Germany. In 1997, Claus moved to London and worked as Senior Stylist and Assistant Manager Administration at Coopers of Covent Garden, where he was responsible for client consultation, cut and colour. In 2000, Claus moved back to Berlin and worked as a stylist for Toni & Guy. From January 2002 to August 2002, he has a position as top stylist and colour technician. Apart from that, he was responsible for the organisation of seminars and the training of salon apprentices. From 2003 to 2005, he worked for Shift Frisöre (former Toni & Guy) in Berlin as Senior Stylist and Colour Technician. In addition, he did the salon management, the training of salon apprentices and organized seminars. In September 2005, Claus moved to Aveda and worked as Technical Educator until 2009. Afterwards he worked as Aveda Academy Trainer for one year. 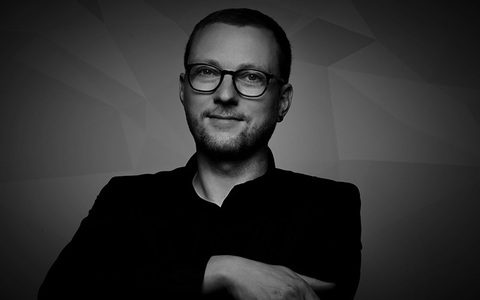 Since 2010, Claus has held the position of Aveda Hair Colour Business Development Manager. He is responsible for the development of the Aveda Colour Range in Germany, Austria and Switzerland. This includes the progression of the Aveda Education Seminar formats and contents in the basic and advanced area, the coaching of the Technical Educator and Academy Trainer and the creative management at events. Claus Hagenhoff demonstrates a fine example of close level colour work with polarity of tone using an asymmetric block colouring technique. Claus Hagenhoff’s colouring tutorial demonstrates a Herringbone Block Colouring Variation. Within the video Claus provides valuable pointers on sectioning, close levels and contrasting tones. The final result is divergent shades of mahogany and violet browns for a two tone outcome with a subtle interplay to create space and texture in the haircut.